Former US President Jimmy Carter has been talking with the Canadian government regarding the evolving housing crisis in Canada. He is connected to an array of charitable and not-for-profit organisations one of which is “Habitat for Humanity”. This organisation has helped many low-income families buy their own property by arranging affordable payment schemes and getting them involved in the construction of their home. This type of “affordable housing” scheme has been used in many countries across the world with Peru put forward as a prime example. Jimmy Carter has been talking about the scheme as the Habitat for Humanity organisation announced plans for 150 homes to be built across Canada. The first such property will be built in Edmonton where he was joined by the federal infrastructure Minister for the Canadian government. In theory the scheme is very simple, has shown to be very effective but will it be adopted by more countries in the Western world? As we touched on above, part of the affordable housing scheme is focused on sensible payment plans and interest rates but there is a more hands-on approach. Part of the arrangement will see new homeowners investing “sweat equity” in their property by helping with the construction of their home. They will obviously be under the strict guidance of experienced professionals but even those with limited manual labour skills still have something to offer. There are many benefits to this part of the scheme such as the homeowner feeling more involved, more responsible and this greater responsibility has resulted in increased tax income for national governments. In theory it does make sense to have homeowners more involved at the ground level but will governments around the world get behind such schemes or will it be no more than a token gesture? There are an estimated 1.6 million households across Canada which are described as in “core housing need” which means they spend more than one third of their income on housing costs. 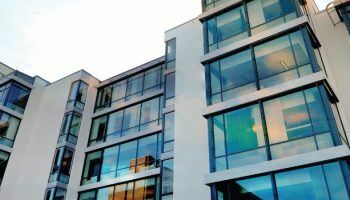 As if this is not challenging enough, many of the properties in which they are investing their hard-earned money have been found to be substandard or unable to meet their specific requirements. While the Canadian government is working on a national housing strategy which could potentially cut this figure by 500,000 households this is still but a drop in the ocean in the longer term. As the cost of living continues to rise at a faster rate than household incomes we will see more and more people falling into this financial trap. The problem is that once they are in a “core housing need” situation it is extremely difficult to get out of it. While a scheme to introduce 150 affordable homes across Canada should be applauded, it is but a drop in the ocean. Quite frankly governments around the world have failed to invest in social housing which has pushed up the price of private houses not least because of additional private rental demands. The Habitat for Humanity scheme has received significant exposure because of former US president Jimmy Carter but without him would we ever have heard of it? We all know there are challenges for the current housing market both in Canada and around the world. On one-hand social housing plans are in many cases not fit for purpose while on the other governments are increasing their property tax take to the detriment of investors. So, with many governments unwilling to invest the required amount into social housing and pushing many real estate investors away because of increased taxes, where do we go from here?